Next week in Vancouver at the Geological Society of America annual meeting, there will be two Emriver-related digital posters included in the Pedagogical Use of Physical Models topical session. The session is on Tuesday, Oct. 21 from 9 a.m. to 6:30 p.m. in Vancouver Convention Centre-West Exhibition Hall C. Authors will be present from 9-11 a.m and 5-6:30 p.m. The session will host eight additional posters, including others by Emriver model users on such topics as alternative modeling media. 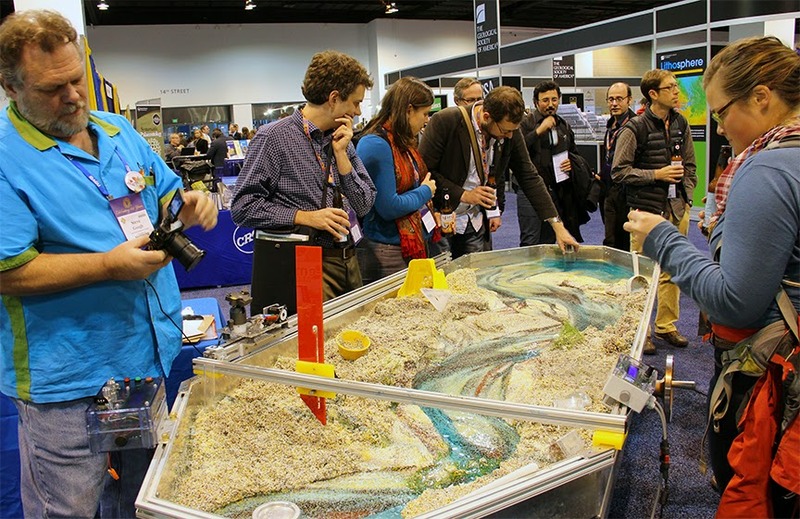 Our Steve Gough and Emriver Em3 geomodel at GSA 2013 Denver. You can see our blog post about last year's GSA here. Little River Research & Design won’t have a booth at GSA this year, but it's one of our favorite conferences. 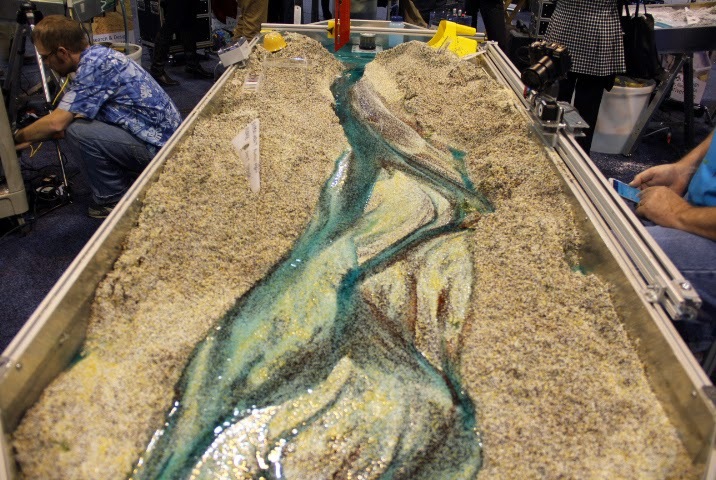 We hope everyone has a great time in Vancouver, and we'll see you next year at GSA 2015 Baltimore! Many thanks to our enthusiastic Emriver model teachers and researchers, particularly Matt Kuchta, who's dreamed up many ways to use his! In the left corner you can see Matt Kuchta at our booth last year at GSA. Matt used an Xbox Kinect to make a 3D model of topography in one of our Emriver Em2 geomodels (shown here is our Em3). You can see his posts about the Emflume1 at GSA here. You can see and/or join the Google+ Emriver Working Group created and operated by Matt here.